To the Class of 2016 that is either wrapping up or has already completed the thru hike of the AT, I want to say congratulations. You guys have showed your determination and your ability to overcome any obstacle put in front of you to complete your journey. You guys are all success stories. 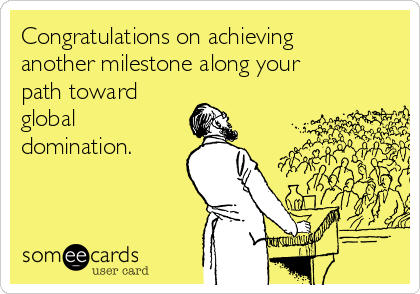 I hope you use this great achievement to catapult your life on another successful journey. This new journey could be in a career, new degree, starting a business, enjoying a new level of peacefulness or even doing another hike. I admire every single one of you. You did or are in the process of finishing what so many people could not. Be proud of yourself! For my class, the class of 2017. We are next to complete this great journey. We must continue to train, prepare and gather what we need to make our mark on the AT. The only thing between us and the finish line is us. I look forward to meeting you on the trail and completing this great journey with you all. It will not be easy but we can motivate each other, help each other and ultimately finish together. We can learn from the classes that have gone before us by reading past blog post. What I have seen and the most overlooked is being mentally prepared. Remember to know what your “why” is for doing this hike. Be prepared mentally and physically for any obstacle that will come your way. Again I want to say to the Class of 2016, Congratulations! To the Class of 2017, Lets Rock This!